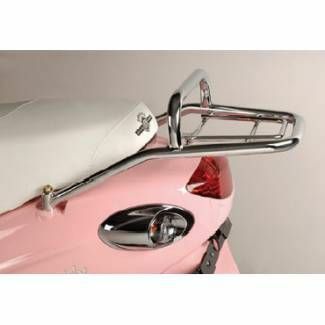 Buddy Chrome rear crash bars. These heavy-duty bars fit and look great on any model of Buddy. 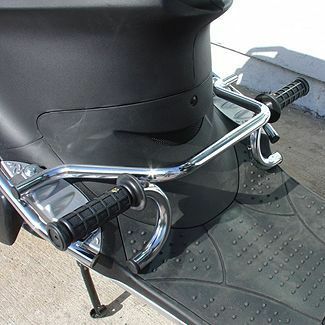 They'll a beautiful splash of chrome to the sides of your scooter and they'll protect it from falling over or car doors and shopping carts. Not only do they look great, but they also provide a great service. We also have these bars available in flat black.